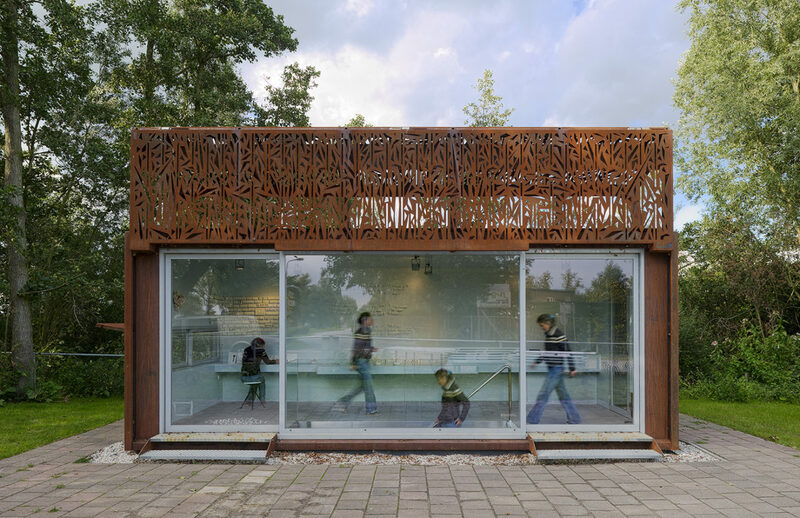 In the center of the lake district between Loosdrecht and Kortenhoef, a dingy snack bar has been replaced with a studio and gallery. The Cor-Ten steel building is placed over a concrete basement, both parts fully prefabricated and assembled on site. The south façade features a large, 24-foot perforated section door or hatch that can be opened and secured on the roof. 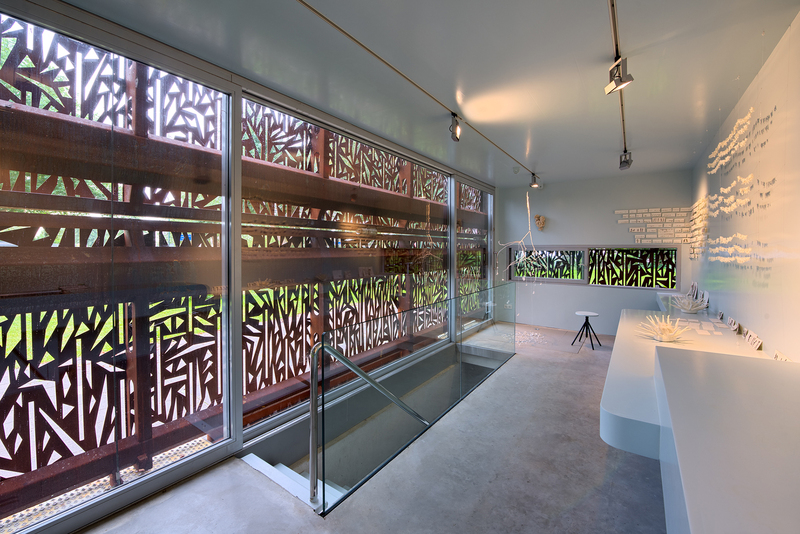 The panel is visible when the gallery is open or closed and can be used as a sunscreen. 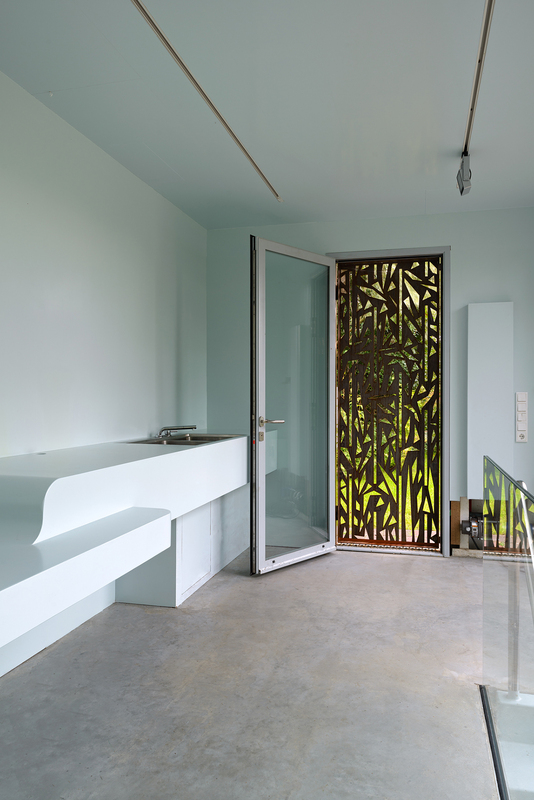 When closed the hatch also acts as a light filter or privacy screen to enable quiet working. 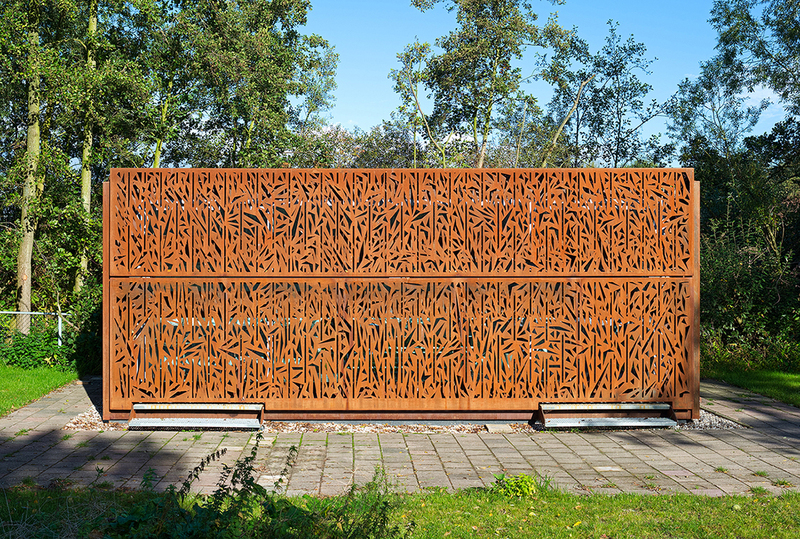 The perforations provide a nice filtered light, featuring a pattern that references reeds along the surrounding lakes. The Cor-Ten steel is both striking and understated amid a beautiful landscape. Through the generous stairwell, sufficient daylight reaches the workspace in the basement, which has space for ovens, storage, a bathroom and a large working table. The ground floor is well lit and remains as an “empty” exhibition space. The full length of the rear façade is a customized cabinet that functions as a display and working desk. 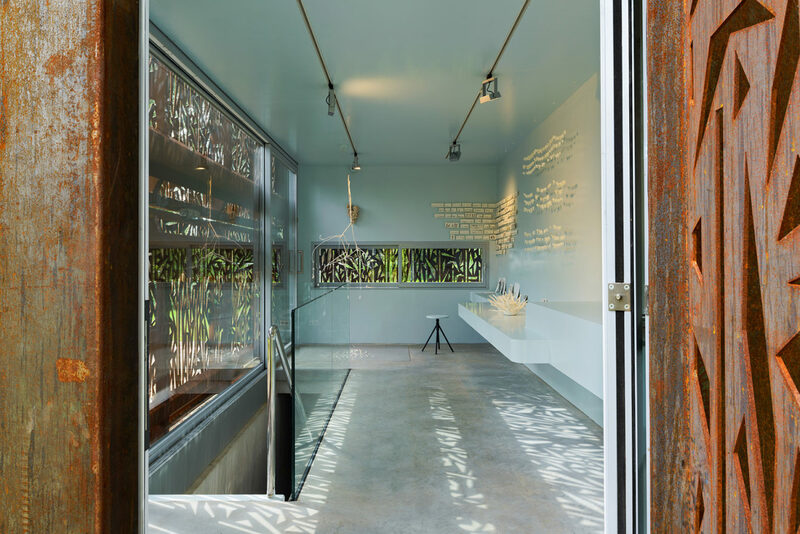 In pleasant weather both sliding doors are open and the exhibition area links directly to the terrace. The bus stop also functions in weekends as a small café.